er having driving lessons with another instructor and still feeling very nervous and not all confident about ever passing my driving test, I gave up having lessons. A friend of mine recommended Lee, he had taught her son to drive. I contacted Lee and told him of the problems I was having, and that I was still a very nervous driver. Even on my first lesson with Lee I felt much more confident, he was very calm which made me less nervous. He asked me what I felt I wasn’t confident with and he helped me to work on these points. He also gave me a LDC workbook which was a great help. 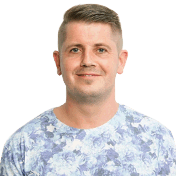 Lee is a FANTASTIC driving instructor; he’s very positive and always gives his full support. I would highly recommend Lee to anyone wanting to learn to drive. 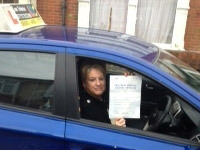 At the age of 47, I passed my driving test 1st time with 8 minors. I couldn’t have done it without Lee’s help!!! Thanks Lee.